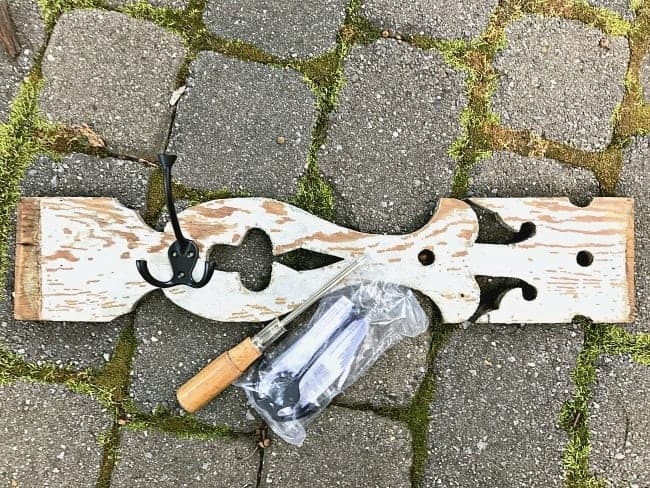 How do you get a DIY towel rack for the bathroom out of an old porch baluster? By accident of course. 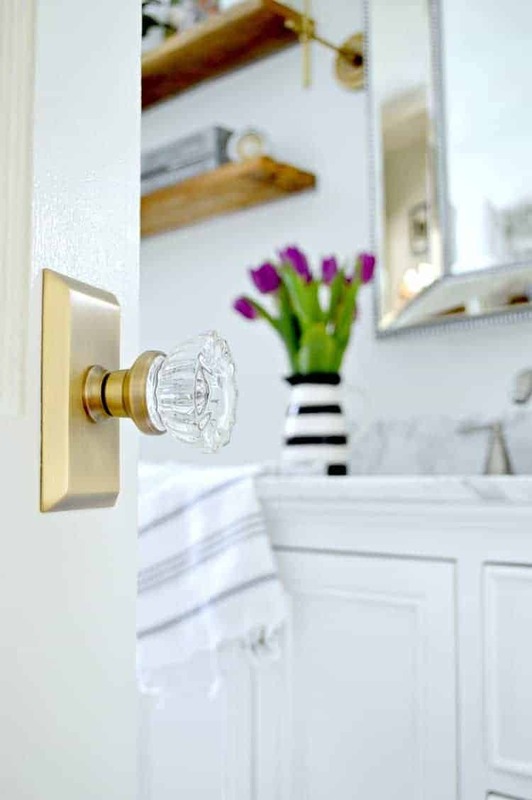 This month’s Thrifty Style Team project came about totally by accident, well…necessity really. 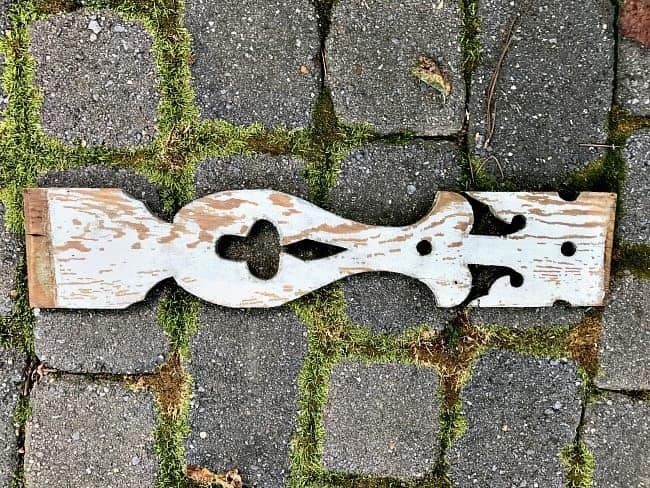 When we lived in Illinois, the hubs and I went to a flea market and were browsing the booths when I saw these cool vintage porch balusters for $2 each. I didn’t have a use for them at the time, I just liked the way they looked. The chippy paint and the color were just right, in my book. I bought 2 of them and put them all over the house, hoping to find the perfect spot to use them. I never found the perfect project so they went into the basement and eventually made their way to North Carolina with us. Again, I moved them all over our new house to find a place for them but they eventually went into the basement. It wasn’t until we were working on the bathroom that we found a use for 1 of them. I had put hooks up in the bathroom to hang our wet towels but they quickly pulled out of the wall, even with anchors. The hubs wanted to slap a board on the wall to give the hooks some stability but that wasn’t going to happen. Not in my house. I understood what he wanted to do, and the reason why, but a 2×4 wasn’t going to cut it and I had to come up with a better solution fast. Yes…my vintage porch baluster finally had a purpose. 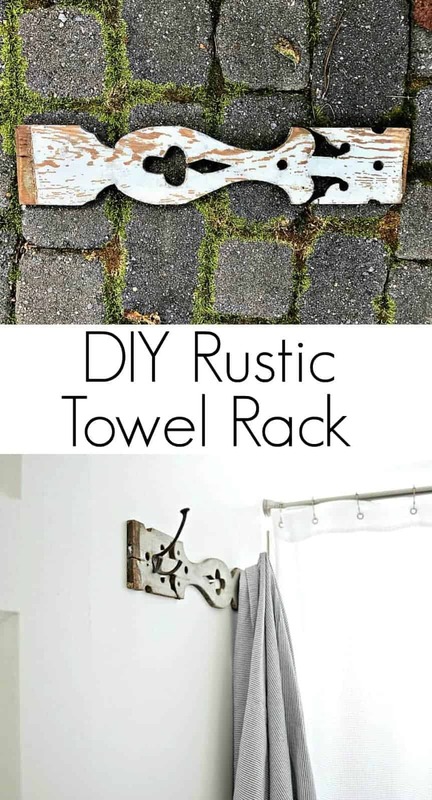 It was to become a rustic bathroom towel rack. So easy to do, too. The paint job was left alone (I mean…how can you mess with chippy paint perfection?) 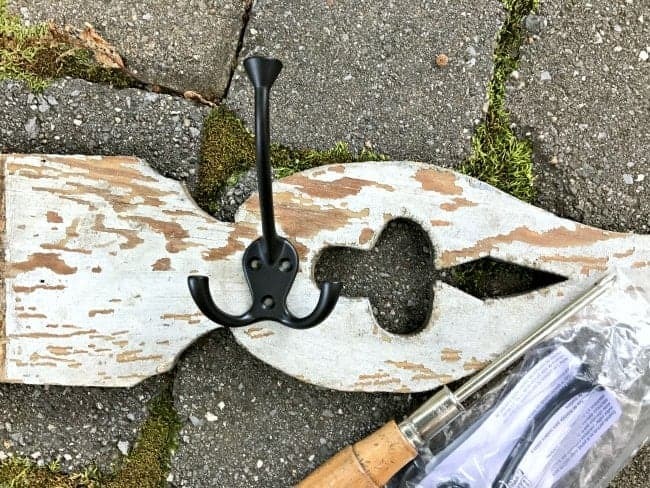 As for the hooks, I just picked up a couple at the store (*similar here) and attached them to the baluster. I did drill small holes in the wood before I added the screws so the wood wouldn’t split. A couple of wood screws were used to attach it to the wall and it was done. Much better than an old 2×4 and it adds a little character to the room. It turned into the perfect towel holder. I knew I would find a place for it…eventually. I know I owe you a tour of this space but it’s just not ready for a reveal. We still have a few things left to do and then I can show you the rest. It is a tiny space though. As in…the photos had to be taken from the hallway…small. Teeny tiny…and not a lot of natural light. It’s one of the many quirks of a small, older home. The ladies of the Thrifty Style Team are bringing their “A” game this month, as always. Make sure you check out their thrifty finds. Check out the other projects I’ve done in this small space. *Affiliate link used – please see my Disclosure Policy for more info. Ooooh! I wasn’t quite sure what a “baluster” was so I looked up the word AND image and I was on the right track, lol. What a marvelous piece that you put to great use. I want a baluster now! Thank you for sharing your projects. 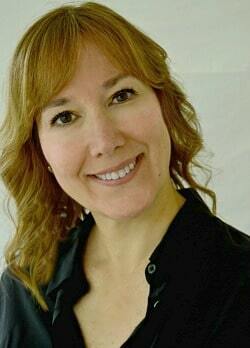 i subscribe to a few blogs, but yours is one of my favorites! You guys always have such great ideas. I wonder how you think of all of them. I will finally be retiring from my job as an Immigration Paralegal at the end of this year. You can imagine how stressful it has become just by watching the news. Can’t wait! I will be picking your brain for ideas on starting a blog if you don’t mind. I hope to do this with my daughter-in-law and include her great ideas that she comes up with for kids. P.S. Your place is really looking great! I’m so happy to hear from you again. I know you must be excited about retiring. It’s been a long time coming. Love it!!! Where did you get that beautiful towel? I’m always looking for beautiful neutral Turkish towels! Great idea. I’m glad you finally found a fitting use for it! Thanks so much Pam! I’m so happy that I didn’t get rid of it when we moved, and that it finally found a good spot in our home. So glad you held onto these! 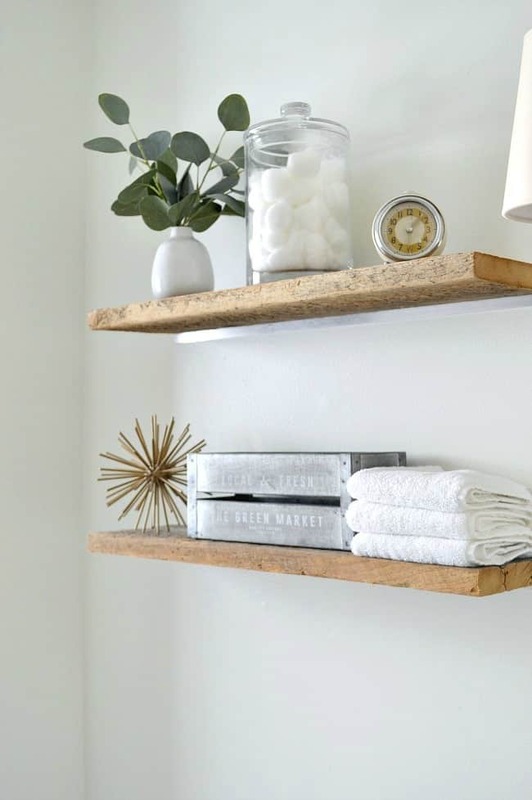 They look great in your bathroom – such a perfect and creative idea! Thanks so much, ladies! I don’t usually hold on to things but I’m glad I did this time. 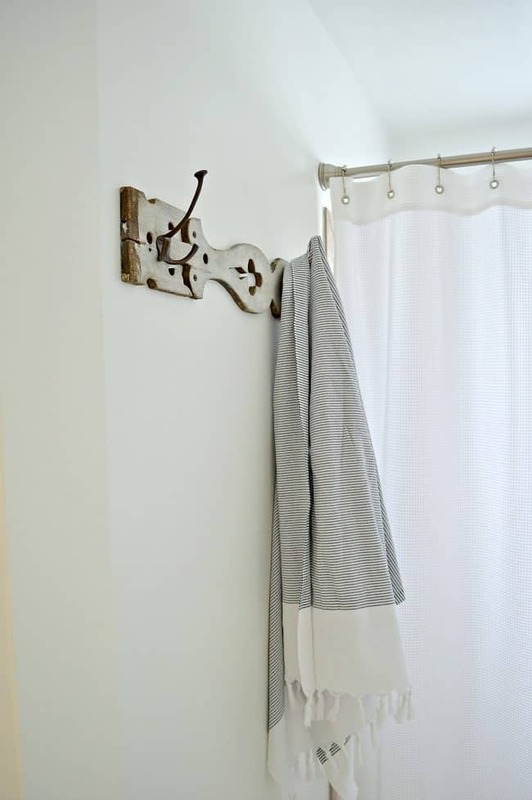 I love the story behind this project…and the diy towel rack turned out to be the perfect use for the balustrade! I just love this. Your while bathroom has great personality! Thank you for sharing your talent and vision. Thanks so much Meegan! This tiny space has definitely been a challenge to decorate but it’s coming along. Once again you have done a fantastic find and how to use it. You really have a good eye for finding the unusual. Love it. Cute, unique, one of a kind, and thrifty all rolled into one! Pure cuteness! A small space makes character pieces show better! What a cute idea and so perfect. I love using old pieces,thanks for the reminder of ways to use them. I love this so so much. It gives me hope for all the random things that I have held on to for years. 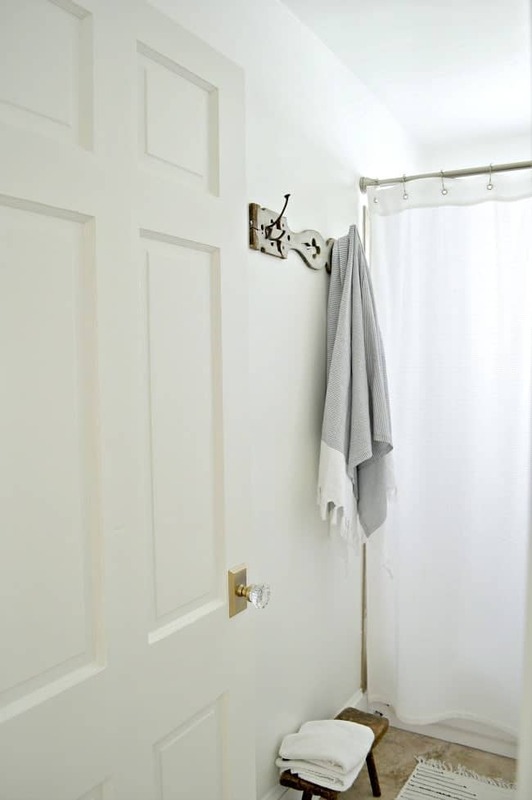 LOVE that towel rack…love it. I knew you would do something fabulous in there. As usual, just perfect. You’ve given me an idea for hanging towels in my own personal “master” (also tiny, tiny) bath. Oh my goodness! Love it!!!! Thanks Melanie, I appreciate it! Great job! Love the way you used them. It’s like they were waiting for the perfect place.